Note: For the purpose of image clarity, the lift rod is not shown in the photo above. 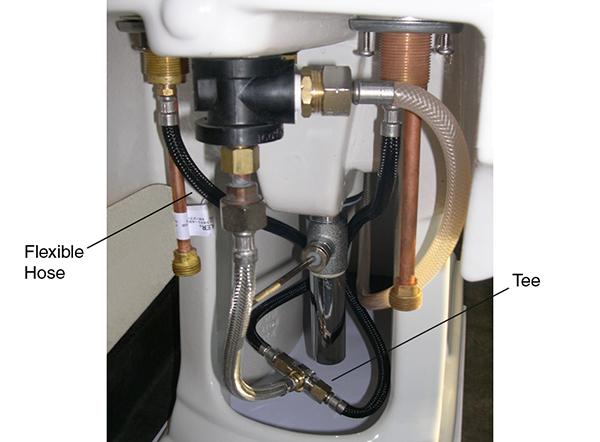 The black flexible hose connects the bidet faucet handle valve to the tee. The hose kit number is GP1092201. This is a longer version of the old hose part number 1110301. The longer length allows the hose to be looped, preventing kinking. The hose change was implemented on 12/11/13 for widespread faucet valves that use the UltraGlide® technology.